Courtesy of Bernstein Realty, Inc..
Beautiful two story with very spacious room sizes and a two car garage! Lovely laminated flooring in living/dining room. Woodburning fireplace in living room. Great cabinet space. Refrigerator included. A bonus window in the kitchen. Powder room and storage space downstairs. Upstairs a faboluous master bedroom, with two closets and a ceiling fan. Garden tub. The secondary bedroom and closet are also large. The property has been recently painted and recarpeted. Front patio. 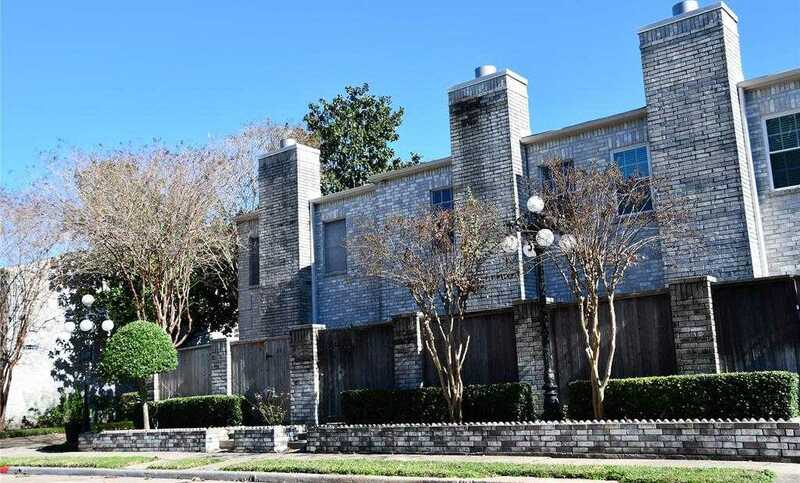 Great community with a pool close to this townhome. © 2019 Mark McNitt | Bernstein Realty. All Rights Reserved. Texas Real Estate Commission Consumer Protection Notice. Texas Real Estate Commission Information About Brokerage Services. Real Estate Website Design powered by Home Junction.